An Binh village’s fresco mural is a marine environmental protection project with the theme "I Love the Sea - Born to Live the Wilderness" which was performed on Ly Son Island. 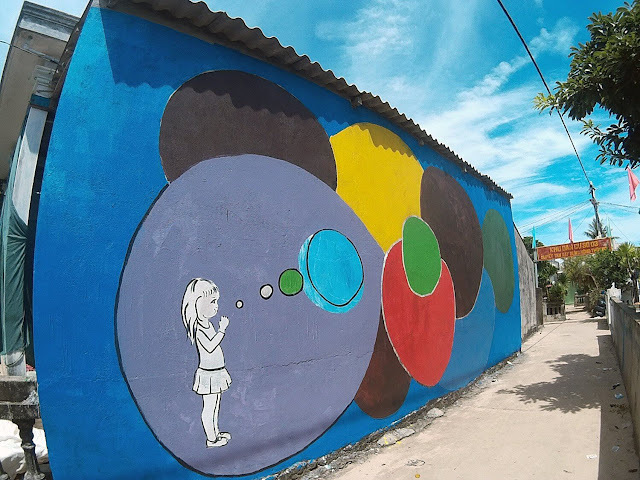 At the beginning of the mural village project, the organizers of the program had to ask permission to persuade people to agree to paint on the walls of the house. However, at the end of the program many households are eager to draw and ready to participate enthusiastically. 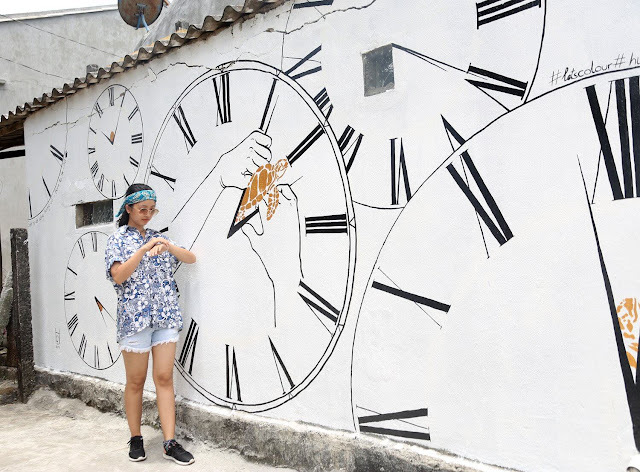 Over the days of creating ideas, carefully selecting works, painters and volunteers joined together to decorate the beautiful little house on Ly Son island. 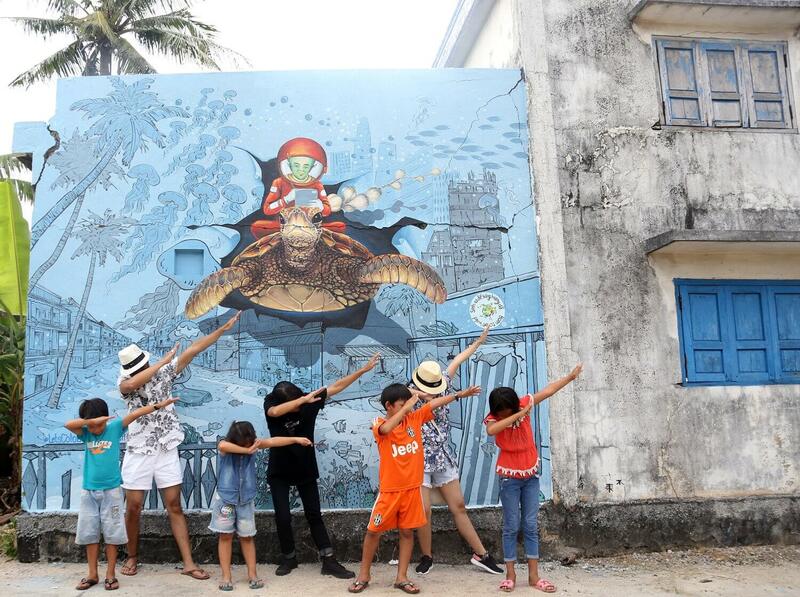 Ly Son Island also has another name is An Binh island, the name of An Binh fresco village also starts from there. Initially, the project was expected to contain only 10 painted frescoes, but after the implementation, the actual number was raised to 15 large and small frescoes. Volunteer artists have done their utmost for passion, for the love of natural island sea, spent hours under the harsh sunshine of Central Vietnam to create these beautiful and colorful murals. "Say No to plastic bag" painting by Painter Trang. Trang will get married very soon. Along with her desire to contribute to the project, Trang volunteered to draw and simultaneously take a wedding photo in her own work. 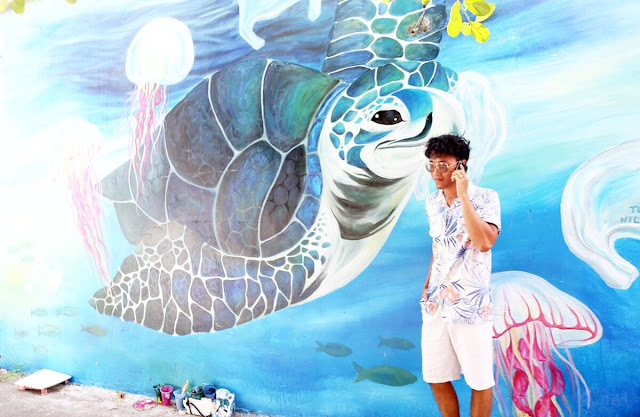 IUCN (International Union for Conservation of Nature) has used sea turtles as the main image for this environmental protection and conservation propaganda project. Besides, the close cooperation of the People's Committee of An Binh Commune, the leaders of Ly Son Island, especially Ly Son Marine Protected Area, has direct connection with the business to support free paint along with Financial support from the US Fish and Wildlife Service's Marine Turtle Conservation Fund.